Our team of experienced engineers share over 40+ years in the marine electronics industry. 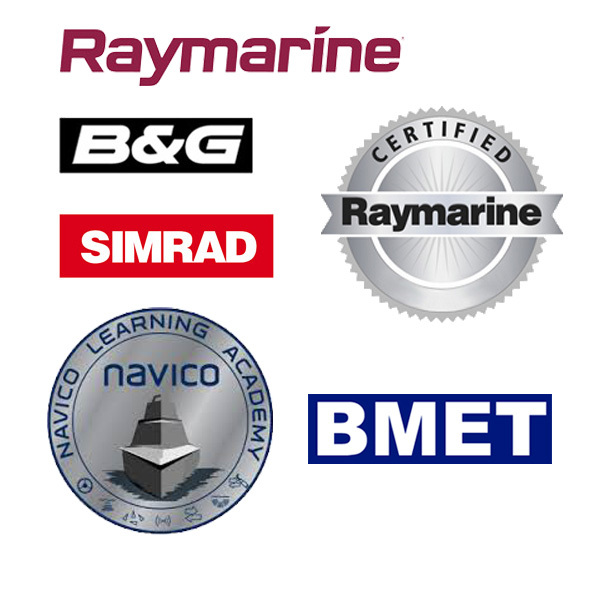 We are accredited installers of all major marine electronics manufacturers. Fully warranted work is carried out to industry leading standards. Our certified engineers attend all the manufacturers technical update courses and continually use the online training systems to stay abreast of the latest software and systems. 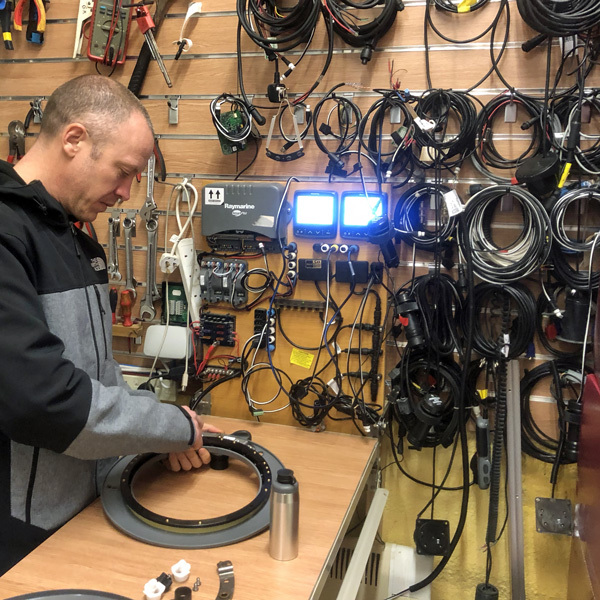 At our showroom on the Hamble river we utilise a variety of test equipment to help diagnose faults and service parts on a range of products. We hold a large stock of the latest and legacy product cables to allow for connections to most products. We carry out full services on Raymarine drive units Linear, Rotary and MkII Wheel Drives. 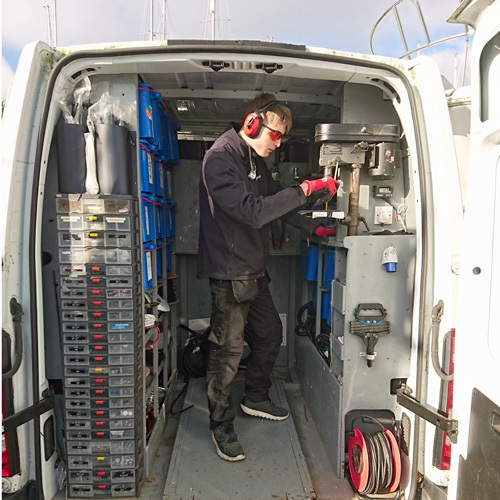 Our team of experienced engineers use mobile workshops with a full compliment of cables and equipment to cover most installations and fault diagnoses. We cover most marinas on the Solent and often travel abroad for certain projects. We carry a large stock of parts, spares and cables for all the main manufacturers including legacy products..